Dying your hair dark, such as a dark brown or black, gives you a deep, rich color. If you change your mind, though, and want to go for a lighter look, you may be able to make the transition after several weeks and continuous shampooing. However, if you want to add highlights to your dark-dyed hair, you should wait a couple of weeks before doing so, because the various color treatments can damage your hair if they are too close together. Here's all the info you need! You cannot simply add a highlight of color onto dyed-dark hair, or even naturally dark hair. Hair that is dyed dark has dark deposits on the hair shafts that stain and become tough to lift with lighter colors. If you attempt to apply a light hair dye over the dark hair dye, you will either end up with a subtle change that is still dark, or you could risk turning the area a reddish or orange color. Bleach is necessary for lifting dark hair with dye in it. The bleach neutralizes the color, bringing it to a light yellow or platinum color. If this is the color you desire for highlights, then you may only need to bleach the strands of hair. However, bleach is often mixed with a highlighting dye that adds a natural color to the bleached hairs to be blended in with the dark color of the hair. 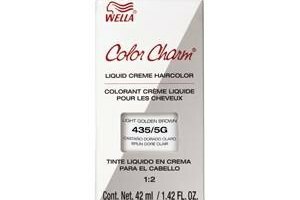 The hair dye takes the bleach look down a few levels to give it warmth with honey hues or other highlighting colors. Since it is difficult to lift dyed-dark hair to accomplish highlights, it will take longer for the bleach and hair dye to work effectively. The hair goes through a natural process of turning red or orange before it reaches the bleach-blonde color. Adding heat to the hair during this process is effective for speeding things up, and for setting the accurate color to the hair. If you apply heat to the hair, it may take 45 minutes to one hour for the dyed dark color to lift. If you do not use heat, it may take twice as long. 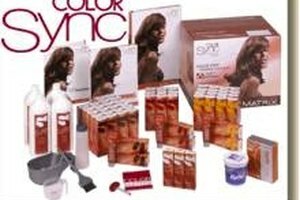 After the hair is bleached and the hair dye deposits the highlight color you selected, the hair is rinsed with water and a toner is applied to the hair. Toner prevents the fading of the color and protects the hair from turning brassy or orange. Going from a dark-dyed color, the hair may not want to take to the highlight color, so the toner is what helps maintain the true color of the highlight dye. Toner is rinsed out after 15 minutes and the hair is shampooed and conditioned.